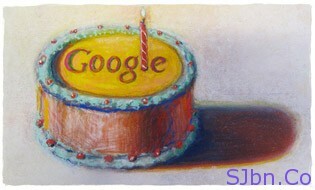 Today in this post I will show you Google’s birthday doodles (logo). Happy Birthday Google, yes today in Google’s birthday. Most probably all of you know about it because Google always change their homepage doodle on special occasions. So if you have visited Google today then you must have notice there today’s new doodle. 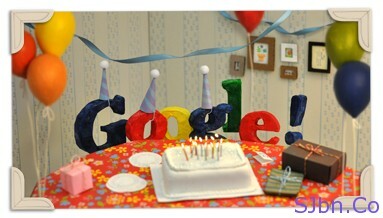 From there 4th birthday (Sep 27, 2002) Google started using different doodle for their birthday. So if you haven’t seen them here are the all the doodles which were used on its birthday to celebrates its birthday. One year (in 2005) there was a lot of stuff going on Sept. 7th, so we didn’t get around to celebrating our birthday until Sept. 27th. So why do it on Sept. 27th again this year? Well, I know I forgot and didn’t even notice when Sept. 7th passed by. I mean, I had to keep my eye on the prize: Talk Like a Pirate Day on Sept. 19th. Back in 2005, Google declared that Sept. 27 was its birthday. But wait — what happened with that Sept. 7 date? Well, in 2005, Yahoo came along and freaked Google out by announcing an index that was larger than Google’s. It had been ages since anyone did that. Quite a debate ensued, and I did a long write-up about it then. Things got resolved by Google doing some PR. They announced that for their “birthday,” they’d gotten bigger — but were also dropping the count of pages from the home page, which helped (thankfully) defuse the size wars that often meant nothing about search quality.